Free FileInMail Download from FilesPack.com! FileInMail automatically monitors a directory for specified files. 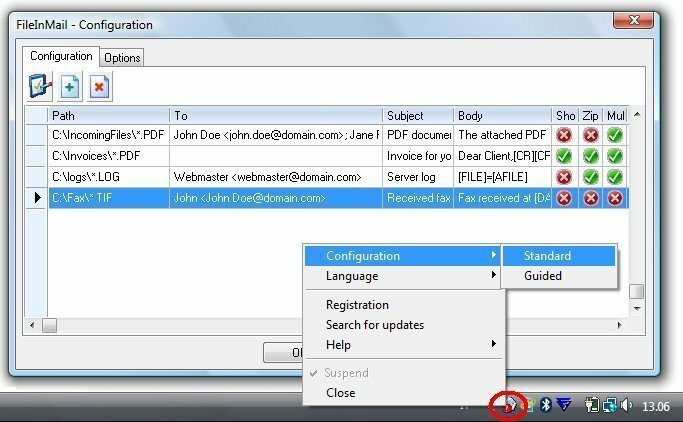 As soon as they appears, the files are archived on disk and forwarded via e-mail to one or more recipients through your own e-mail Client program: either MS-Outlook or any MAPI client, with or without user intervention. * Works on any Windows machine, from 98 to 2008. * Mail can be sent out with or without user intervention You can free download FileInMail 2.0 now.